Plays in your core. 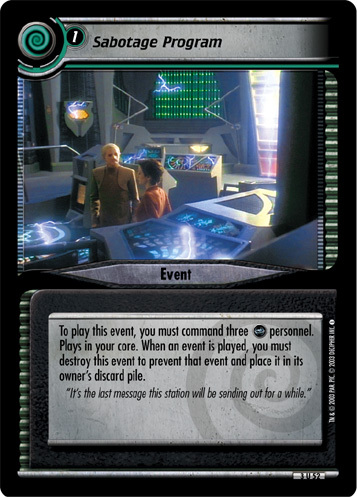 When you are about to play a personnel at your Unicomplex, you may discard the top card of your deck to play that personnel on your ship instead. 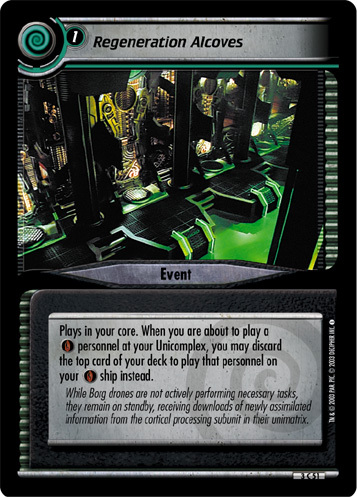 While Borg drones are not actively performing necessary tasks, they remain on standby, receiving downloads of newly assimilated information from the cortical processing subunit in their unimatrix. 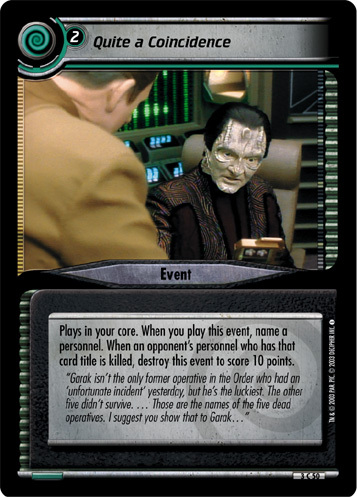 Image Source: Voyager: "Scorpion, Part II"